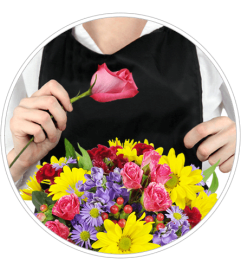 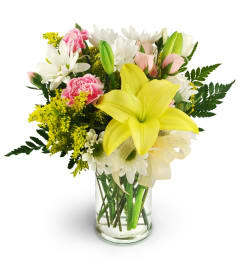 This sculptural, gardenesque arrangement is a perfect gift for Mom! Delicate pink hyacinth bring an air of Spring that she will adore! 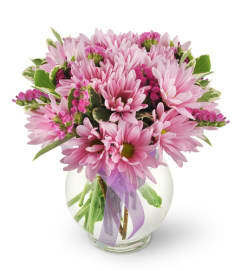 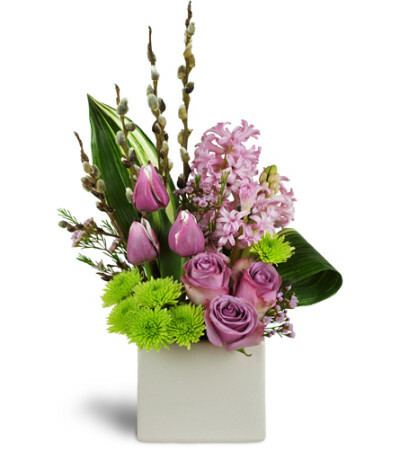 Pink hyacinth, lavender roses, tulips, and more are arranged in a chic white ceramic vase.